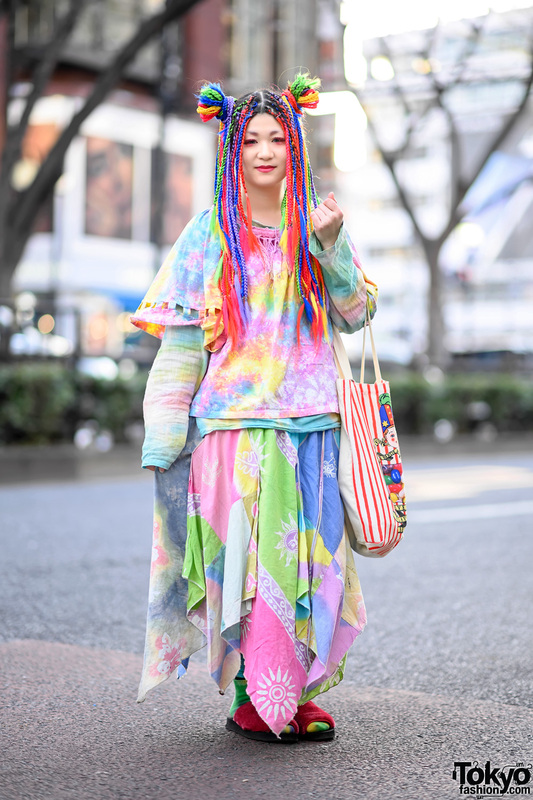 We spotted a familiar face while strolling along the streets of Harajuku. 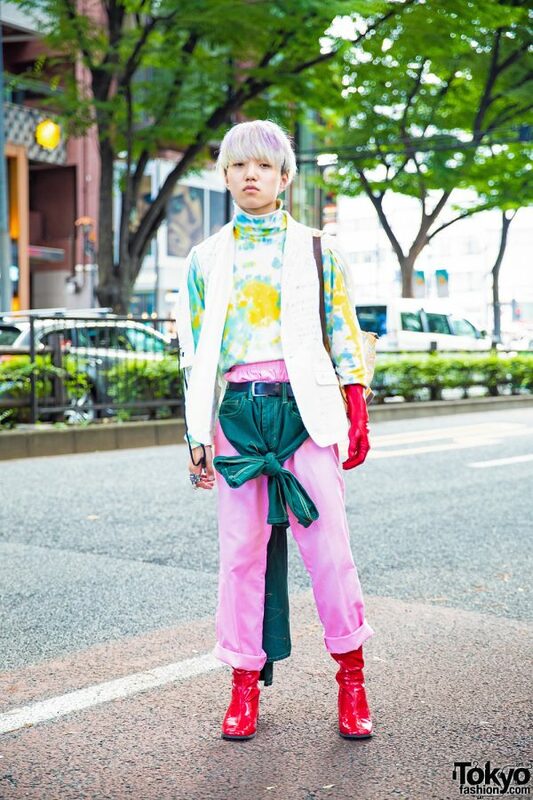 Here’s Kiku, who has been featured before on this site due to his bold sartorial sense and impressive outfits. 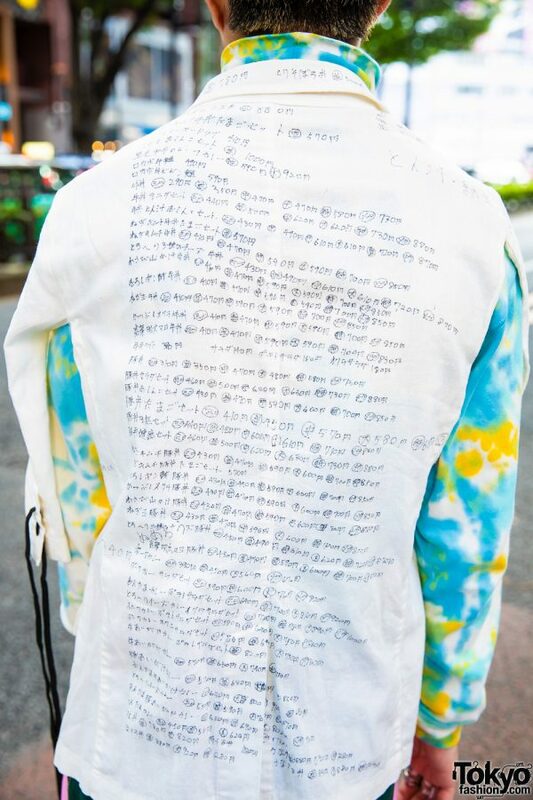 This time, Kiku stepped out in a handmade printed turtleneck top under a white printed jacket from New York Joe. 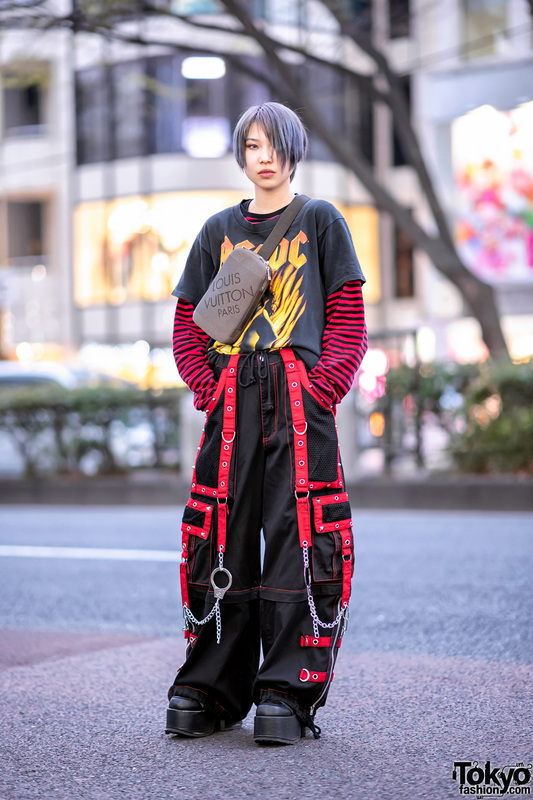 The 16-year-old student also wore pink pants from John Lawrence Sullivan and vintage jeans secured with a black leather belt. 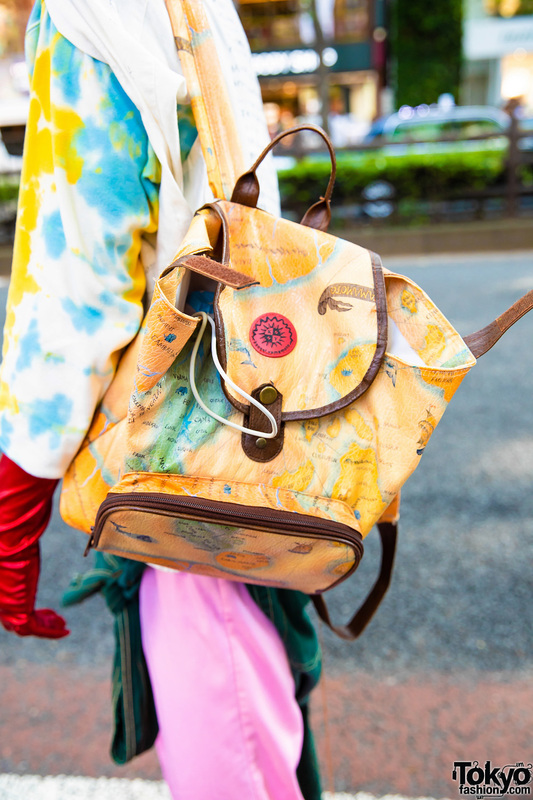 Slung on one shoulder is a brown leather backpack from Kansai Yamamoto, and on his feet are vintage red heeled boots. 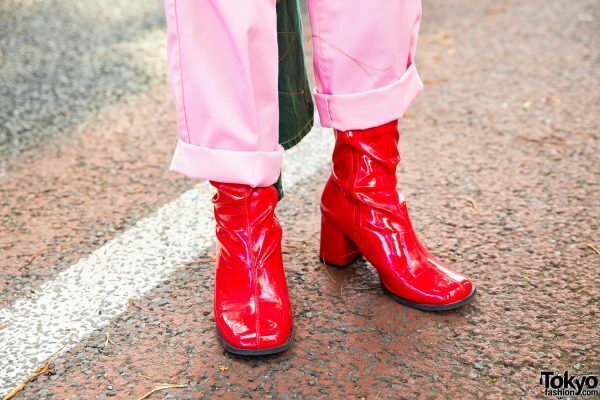 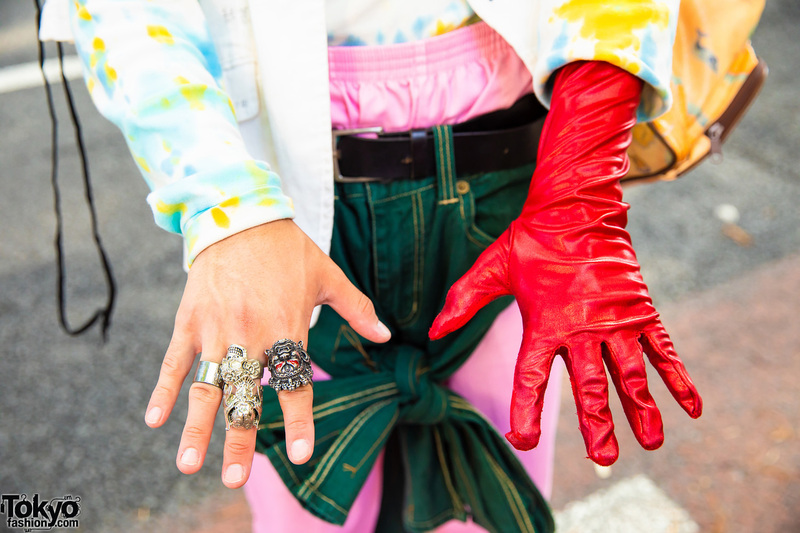 Blond hair, chunky rings, and a bright red glove provided the finishing touches to his look. 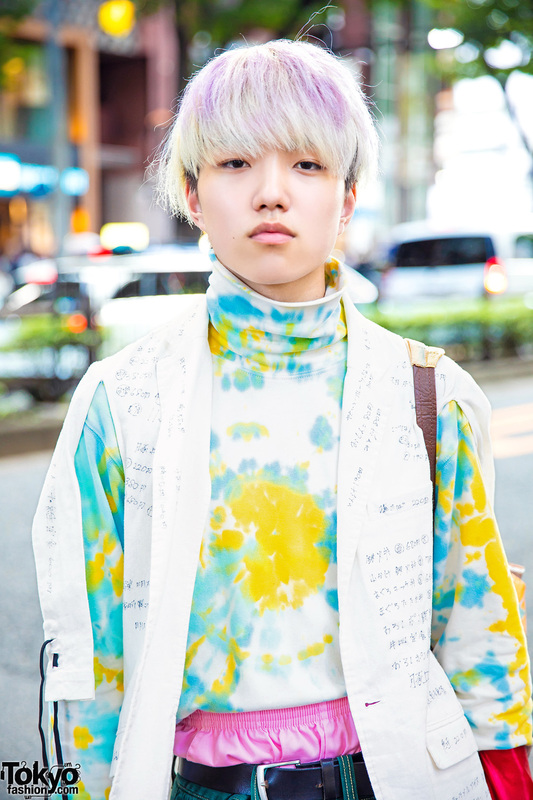 As for his favorites, Kiku loves fashion brand Balmung and music from kZm. 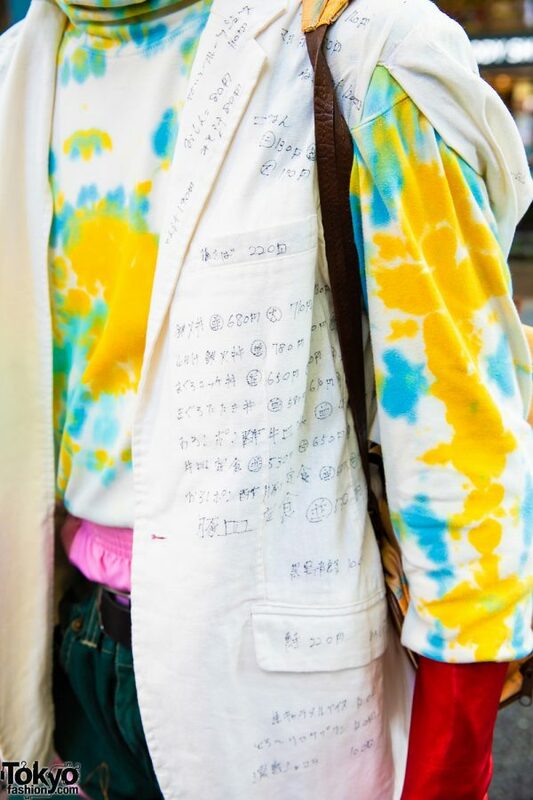 Follow Kiku on Instagram for more style updates.